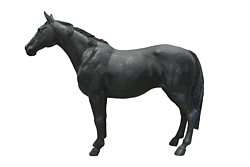 - Made from durable Resin and hand painted with impressive realistic paint. - Suitable for indoor and outdoor displays. - Museum quality. 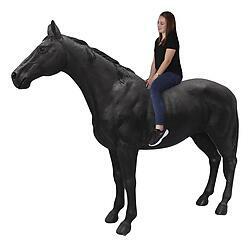 Perfect for farm or western theme display. - It is sure to attract crowd's attention and is a wonderful prop for taking pictures. 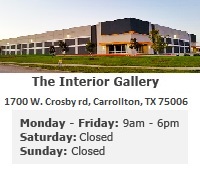 - Exclusively designed and distributed by The Interior Gallery.